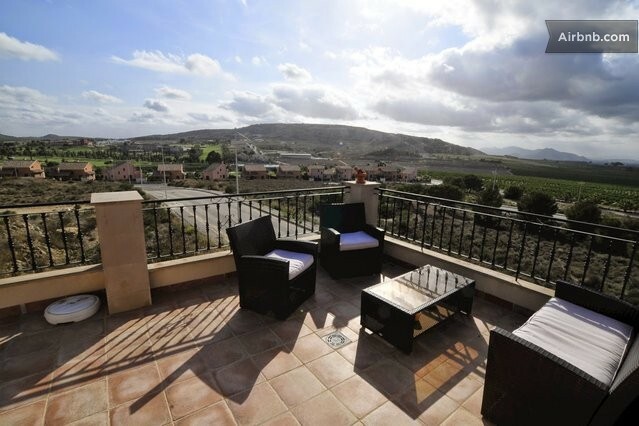 There are some fantastic Airbnb golf holiday rentals on the Costa Blanca. 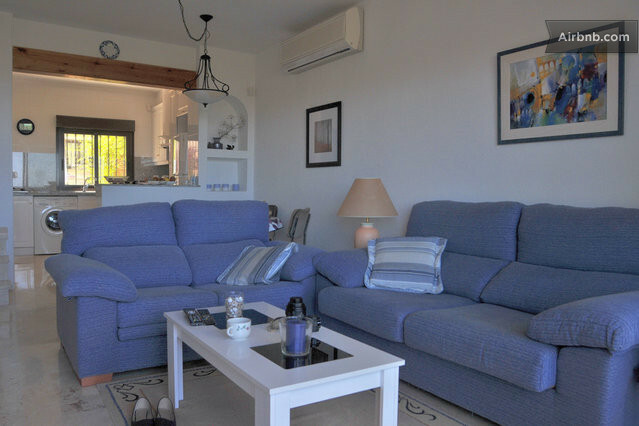 So, while spending the weekend watching yet another glorious Ryder Cup victory for Europe, I decided to put together a list of Top 9 Airbnb golf holiday rentals on the Costa Blanca. But what makes an amazing golf holiday home? 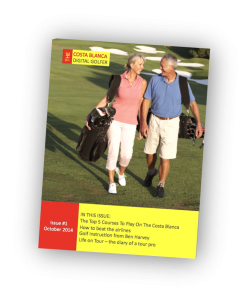 Well, I think if you are going to the Costa Blanca to play golf, then it makes sense to stay in a villa or apartment that overlooks a golf course. It also needs to be well maintained, in good decor, probably with access to a pool, and it would be nice to deal direct with the owner rather than a faceless holiday booking company. And that is where Airbnb comes in. If you haven’t heard of this website, then you need to check it out. Airbnb connects owners of holiday homes and spare bedrooms with people who are looking for a cheaper alternative than a hotel. 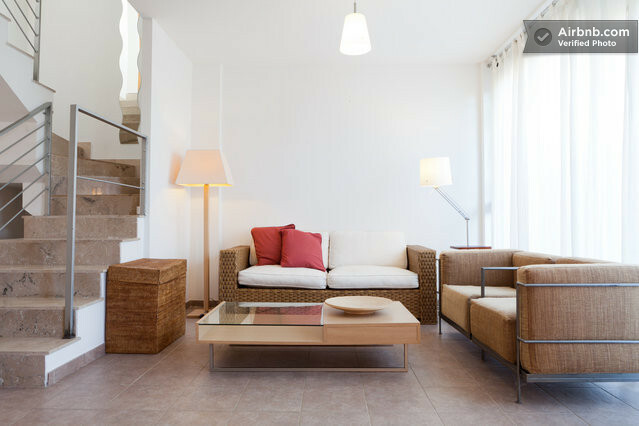 You can book a room in someones house – think of it as an informal Bed & Breakfast, or you can book the whole property. 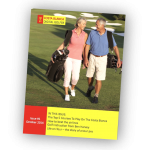 When I compiled this list I only looked at property that sleeps at least 4 people, because you are going to the Costa Blanca to play golf with your mates, right? 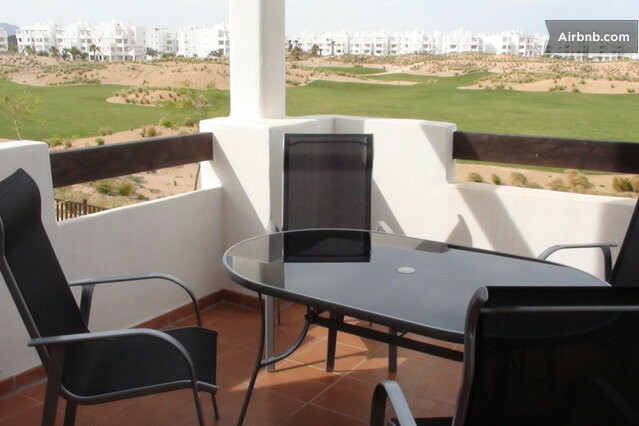 And I specifically chose places where you can sit on the terrace, and enjoy a post round of golf siesta, whilst watching others play golf (or in the case of one or two, have views across the golf course). I haven’t ranked these properties, so here is the list in golf course alphabetical order. 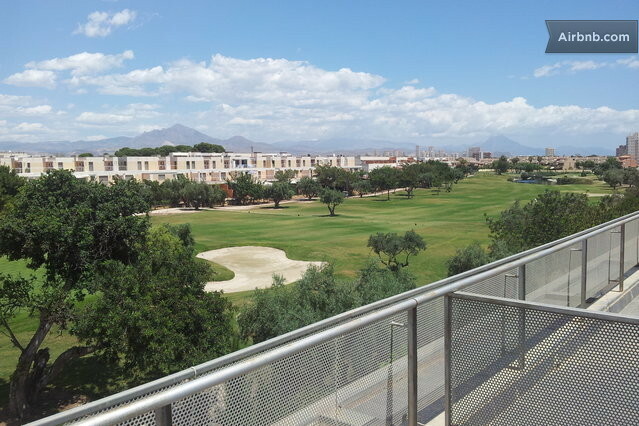 What the owner says: “Lovely modern 2-storey terraced house in San Juan de Alicante, 5 minutes away by foot from the beach and with amazing views over the Golf Course. The house, fully equipped,is part of a housing complex with communal gardens, swimming pool and parking. 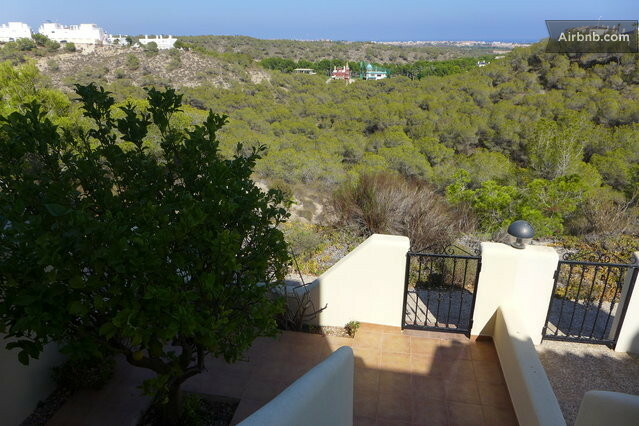 The house is part of a housing complex with communal gardens, swimming pool and parking, just by the golf course, very close to shops, cafés, sports centre, restaurants and supermarkets and to the beach. 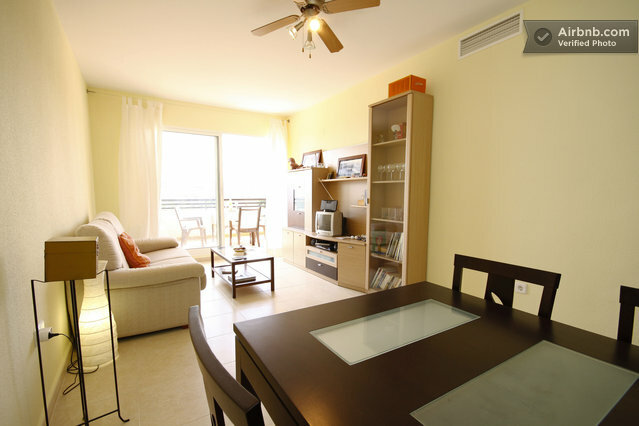 It is also very well connected with Alicante city centre either by car or by public transport (bus and tram). The apartment sleeps 5 people in 3 bedrooms and can be booked from £100 per night. 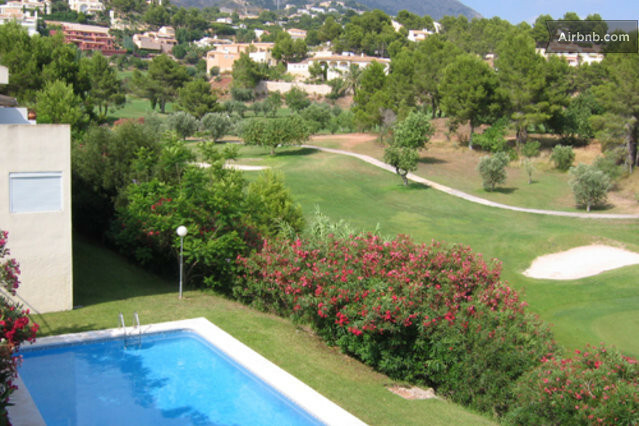 What the owner says: “A 3 bedrooms house with private swimming pool within Bonalba golf complex. Very quiet and relaxing family home. 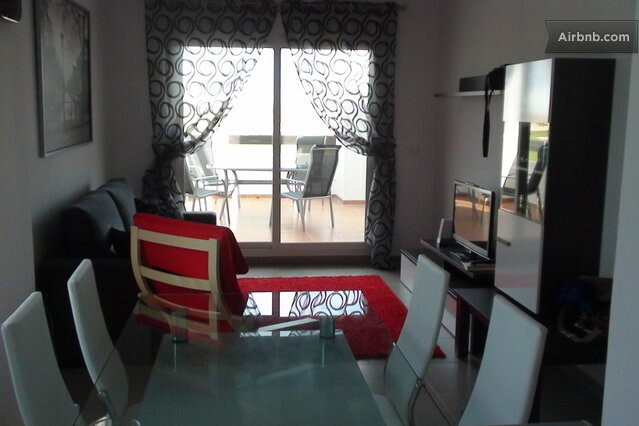 10 minutes from El Campello beach and 20 minutes from Alicante airport and 15 minutes to Alicante city. The apartment sleeps 5 people in 3 bedrooms and can be booked from £105 per night. 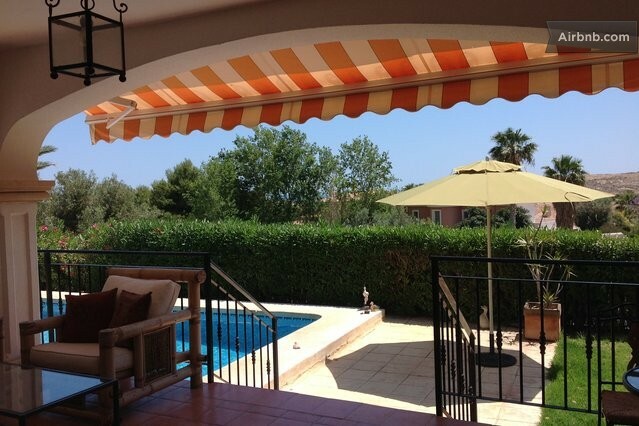 What the owner says: “Near a lot of golf courses our villa is situated on the top of the hill with a great sea view. We offer you tree bedrooms with double beds, a bathroom and a separate toilet downstairs. Upstairs a living room and kitchen. Terrace with swimming pool. In a very healthy surrounding, near a lot of salt lakes with a lot of iodine in the air , what is very good for long and rheumatic problems, is our ” Villa ELRO” situated. The apartment sleeps 6 people in 3 bedrooms and can be booked from £79 per night. The apartment sleeps 4 people in 2 bedrooms and can be booked from £60 per night. 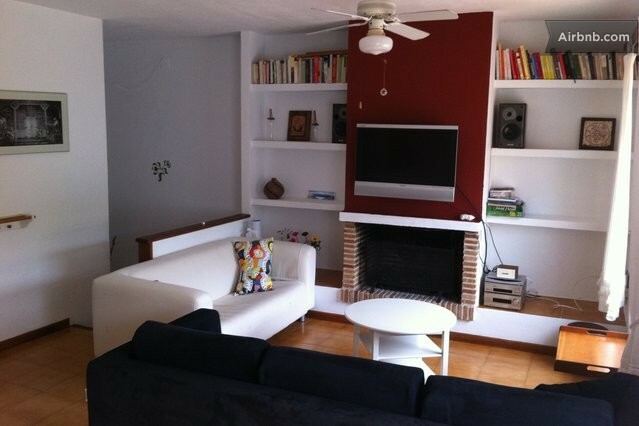 It is a 2 bedroom townhouse with double beds in the Sierra de Altea, 1km from the beach and in the mountains. The nearest town is Altea la Vella, is less than 1km. Next to Pit No.1 Golf Don Cayo. Very quiet, in the Sierra de Altea and 1km from the beach in the pot. The apartment sleeps 4 people in 2 bedrooms and can be booked from £84 per night. The apartment sleeps 10 people in 5 bedrooms and can be booked from £205 per night. The apartment sleeps 6 people in 2 bedrooms and can be booked from £32 per night. I hope you liked these choices. If you have a property that you want to add to the list, please use the Comments box below. Airline lost golf clubs belonging to Rory McIlroy!